Latest Newsletter March 1st, 2018 now available. See Newsletters. 2018 Reunion Packets are available here. Welcome to the Mosquito Association, Inc., Homepage on the Internet. This site is open to members of our Association and interested parties. 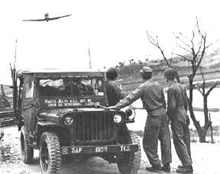 We should like to introduce you to our organization history, the units involved during the Korean War, our Awards and Decorations and the various facets of our peacetime Mosquito Association. The following units were part of the Mosquito Mission.